Hydint Highly Efficient Microfine Filter For Compressed Air, Aluminium Body Female Screwed (BSP). Filter Elements : 0.01micron (Imported). Filter Element Life : Maximum 1 year depending on usage. Min. Distance Required : 6 mtrs. after compressor/air receiver tank. Spares : Spare Filter Element available. Features & Specifications :Hydint Mechanical Auto Drain Valve Mechanically Operated Automatic Dr.. Features & Specifications :Hydint Auto Drain Valve With Electrical Adjustable Timer & Filter.. 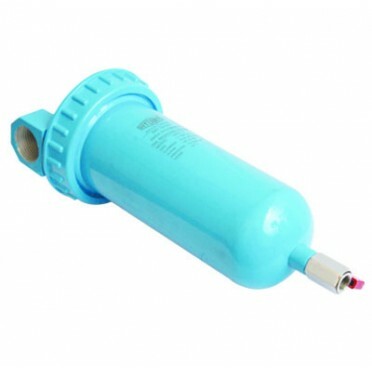 Features & Specifications :Hydint Pre Filter Aluminium Body Female Screwed (BSP).Size : 8mm (1/4.. Features & Specifications :Hydint Pre Filter Plus Highly Efficient Microfine Filter For Compress.. Features & Specifications :Hydint Highly Efficient Microfine Filter For Compressed Air, Aluminiu..